We've never seen an athlete like this — bold, outspoken, and not afraid to piss off the vice president. Before heading to South Korea, Rippon talks to The Advocate about this incredible moment. The schism happened after Rippon told USA Today he didn't agree with Vice President Mike Pence leading the Olympic delegation in South Korea next month because the politician supported public funding for so-called gay conversion therapy. Pence press secretary Alyssa Farah issued a statement saying the accusation was “totally false and has no basis in fact,” but as The Advocate has reported, it does have some basis. Heading into the Games, Rippon won’t back down from controversy. He’s got a platform for the moment and will use it. Indeed, it’s a decision he made three years ago to no longer shy away from his own truth in public that helped him become one of the best skaters in America. Rippon came out as gay to Skating magazine in 2015. Looking back, that unburdening led to results on the ice as well. “The same season I came out, I became national champion,” he recalls. And with his selection to the Olympic team heading to PyeongChang in February, he’s now realized a goal in his sights since he first strapped on a pair of figure skates. 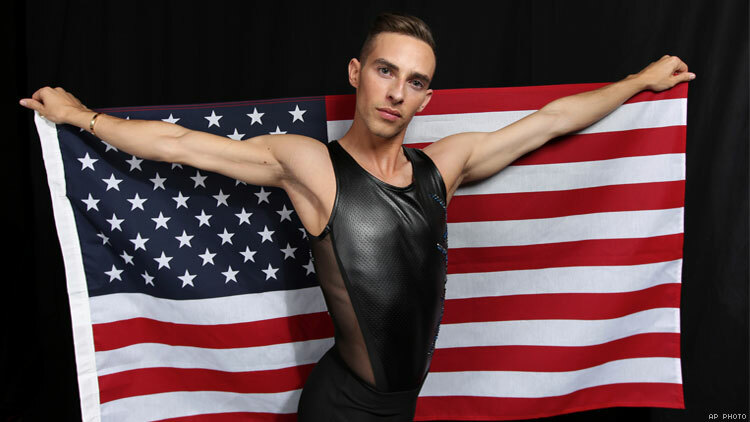 Rippon is believed to be the first openly gay man selected for a Winter Olympics team by any nation, but it’s also exciting for him to see freestyle skier Gus Kenworthy, who also came out in 2015, make the U.S. team, as well. That America will send at least two out Olympians reflects an important evolution in society, he says. That’s also critical because the makeup of Team USA will deliver a snapshot of American life to all the world. But he knows other children teased him as a child for pursuing figure skating. He got through that with his mother’s encouragement; she told him then he should pity bullies since he could do something he loved every day. But he also suspects that type of abuse pushed too many kids away from the sport altogether, and those who stuck around didn't want to be branded as gay. “I remember being young in the mid to late '90s, and being somewhere and people were talking about equality,” he says. “Then I remember turning and hearing someone say ‘Ugh, gay people are just so disgusting.’ I took that with me for a really long time.” He figured at that point his sexuality would be a secret he had to guard his entire life. And it’s not like the stigma has disappeared. Still outspoken, he notes the law hasn’t caught up with society even now. “There’s still laws that say you can discriminate against an LGBT person because it’s ‘against your religion.’ Still, you don’t have complete freedoms in some places,” he says.